Principal Simon Beck is the principal at Zenith High School. 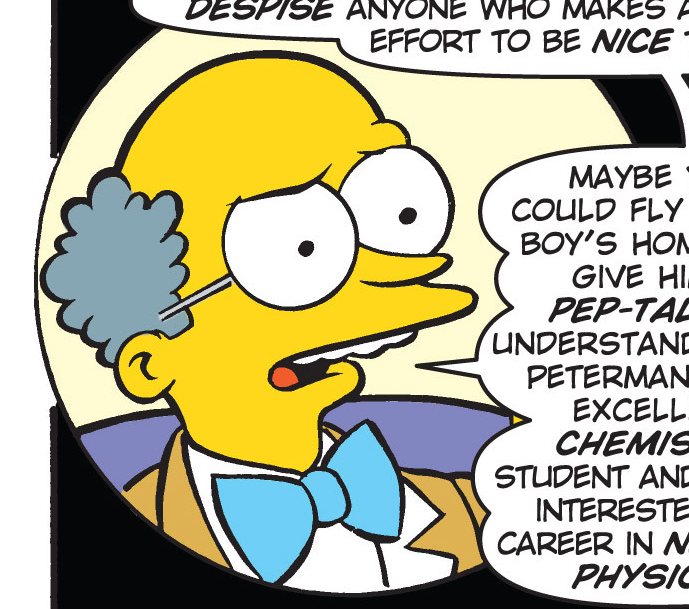 He introduced Radioactive Man to the school to give the students a talk about radiation. Later, he asked Radioactive Man to have a talk with Parker Peterman to see if he could help Parker have a better life. Comic story – The Amazing Radioactive Spider! Modified on July 27, 2017, at 14:12.